More information about the cookies on CityZapper and be found in our Cookie Statement. You can also read our Privacy Statement. A cocktail in London? Don't miss these places! We love cities! We prefer to be on the road all year round, on our way to the most beautiful cities around the world, looking for the best hotspots. We are happy to share our love for cities with you. On our website you can find unique, inspiring and independent advice for more than 15 cities. All personally selected by our team of editors, bloggers and city reporters. We tell you all about the most beautiful sights, interesting museums and must-see attractions, but will also help you discover hidden places off the beaten track: unique shops, trendy nightlife and exceptional restaurants. For every city, we have a wide selection of up-to-date tips. Not only do we travel to Paris, London, New York and Rome, but we also detect unknown treasures like Osnabrück and Clermont-Ferrand, so you are constantly inspired for a new city break. After all, there are so many cities across the world you could go on a city break every weekend. Subscribe to our newsletter and we will keep you updated about unique city trips and good deals from hotels and airlines. All tips of CityZapper in your pocket with the unique iOS app. 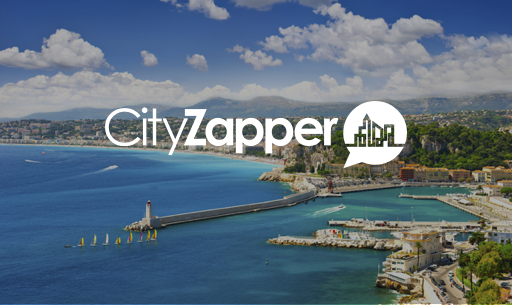 In this app, all blog articles and travel guides of CityZapper are represented. Big plus: the app can be used offline, so no internet costs during your trip!